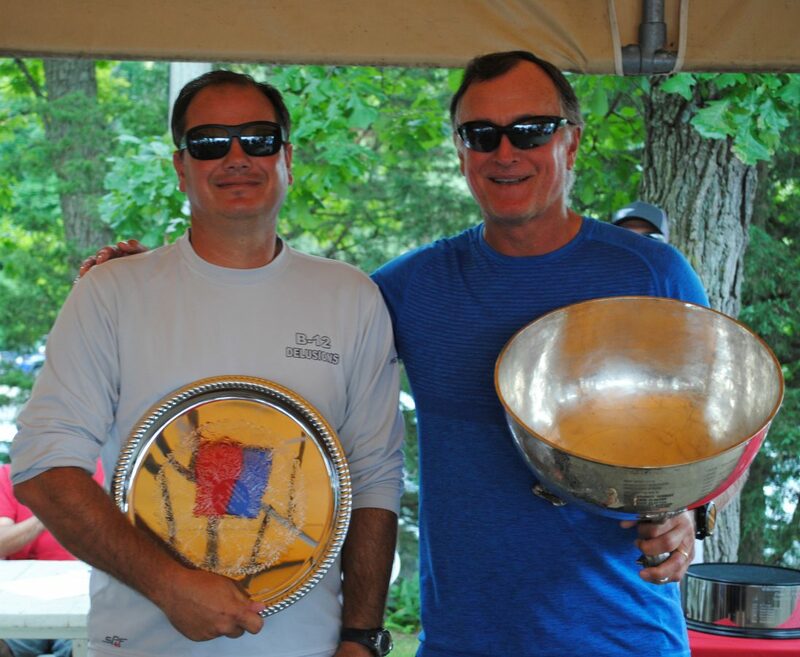 A full round of congratulations goes out to Kent Haeger, the 2017 WYA C Scow Champion! Haeger finished with close to half as many points as the rest of the podium. After four races in very shifty, puffy, challenging conditions on Nagawicka Lake, the B-12 finished with 16 points and not a single finish in the double-digits. Only one point separated silver from bronze. Ed Eckert and Matt Schmidt (A-136) took second place, edging out Will Haeger, Will Hutchings, and Hannah Noll (B-1) who finished in third. Rounding out the top five were Jim Gluek and Alby Rolfs (V-137) in fourth and the family program of Steve, John, and Wendy Schmidt in the E-88. North Sails powered the top 10 in the event with many top competitors using both their Harecut and I-1 Gold throughout the three-day event. The best way to stay at the top of your game is to keep your sails fresh. Learn more abut North’s fastest C Scow sails.